Getting Started ~ Joining Mcalls! 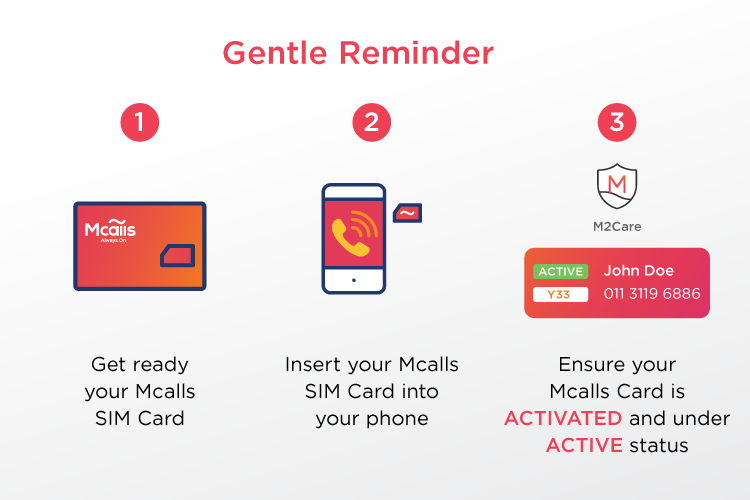 The Telecommunication Service Provider that lets you enjoy the optimum and worry free Mobile 4G+ highspeed Data, Voice and Text; Once you subscribe to be a Mcalls Fans as Digital Nomad, that’s where the Smart User journey begin with self-earned Rewards through every Airtime Credit Top-Up you successful made for yourself and other Mcalls Fans. What is Mcalls Digital Nomad? Digital Nomad is the Individual Mcalls Fans that enabling the digital lifestyle experience with the self-served application “MMspot”. That’s include managing the earned and redemption of Mcalls Rewards "MRS". What do I get with Mcalls Plan? Airtime Credit is the credit balance use for Voice call and SMS. Does my Y33+ Plan auto-renew? Yes. The Plan will auto renew when you Top-Up minimum RM30 every month to your account. Do I still able to enjoy the Y33+ Plan, if my credit less than RM30 credit for the renewal or if I did not Top-Up minimum RM30 credit? Yes, you can. 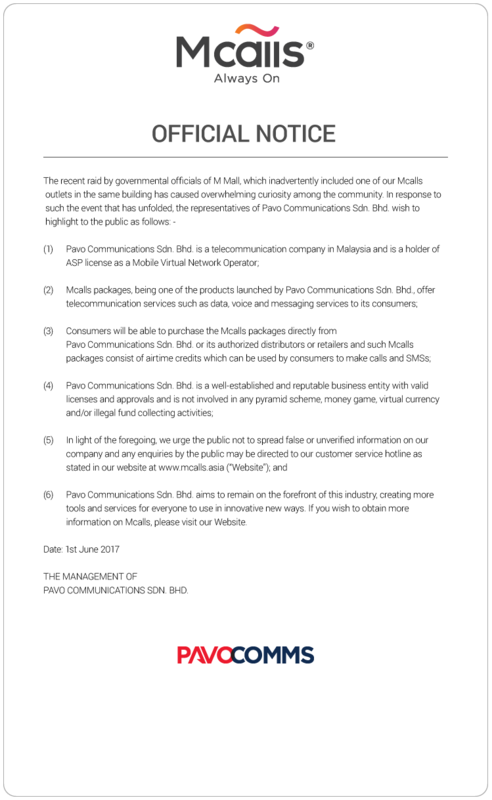 Hence all the charge will be based on the pay-per-use rate at RM0.10 per 1MB. If you do not renew the Y33+ plan within the 50 days grace period, your service will terminate. Any Airtime credit and Rewards, services and your number will be forfeited. For International call and SMS tariff, you can refer to the latest rates on the website. How do I sign up Mcalls Y33+ Sim Pack? There will few more prominent Landmarks setup for your convenience. What do I required to provide to sign up? Just produce the valid ID (IC for Malaysian and Passport for Foreign National) and be above 12 years old. Can I choose a number that I prefer when registering? What do I need to pay upon sign up and registration? Upon complete your registration and check out, you just have to made the payment for the cost of Mcalls Plan (eg: Y33+=RM30), which is also inclusive the 6% GST. Payment via Master& Visa credit/debit card and online banking. Can I pay by Credit/Debit Card or Online Banking? Yes, We currently accept Master & Visa and all online banking (if purchase by Online). How many mobile line subscription can I have? You can have up to 5 lines per ID including all the number that you had registered with other telcos. Will there any confirmation of payment after the registration process completed? Yes, a confirmation will be send to your registered email. Stay tuned. What is MMspot and how do I use it? MMspot (Mcalls Mfans Spot) is the Mcalls Mobility Tool (an Application available for/on Apple iOS Appstore & Android Playstore) that enabling to self-serve the Digital Lifestyle Experience for Mcalls Fans aka Digital Nomad. 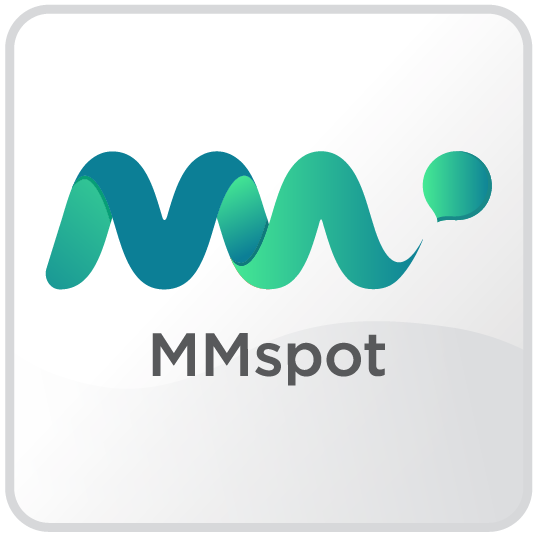 Download MMspot, here’re what you can do with;-. 1. Reload and Top-Up Airtime Credit for own and other’s Mcalls Mobile Number. Through such self-served action, it will earned you a 7% Rewards from the successful Top-Up value performed. 2. Receive and Keep Track your earned Rewards monthly. 3. Rewards Redemption from the 1200+ B.A.P across the Nation (the Business Alliance Partners (BAP) numbers are progressively increase). 4. Redemption of Digital Goods and Services made avail in MMspot. How do I Reload my MMspot? 1. You could do it via the MMspot app (log in > tap on the Reload "+" sign same row right end of the M-A credit displayed) using Master/Visa Credit and Debit Card or Online Banking. I topped up to my friend that has Mcalls Mobile Number but wasn’t credited the full amount. Why? Top-Ups are subject to GST based on Malaysia Tax regulation. 6% will be deducted from you Top-Up amount for Mcalls Fans that registered under Foreign National. If your user was registered under a Malaysia ID, the Mcalls Fans will credited in full amount. Will Reload M-A credit to my MMspot extend my Mcalls SIM validity? No. it won’t. Your SIM validity follows your Y33+ Top-Up Plan active period. How does my SIM account status impact my MMspot? During SIM ACTIVE status, you’re able to use your MMspot M-A & Rewards for Redemption etc. 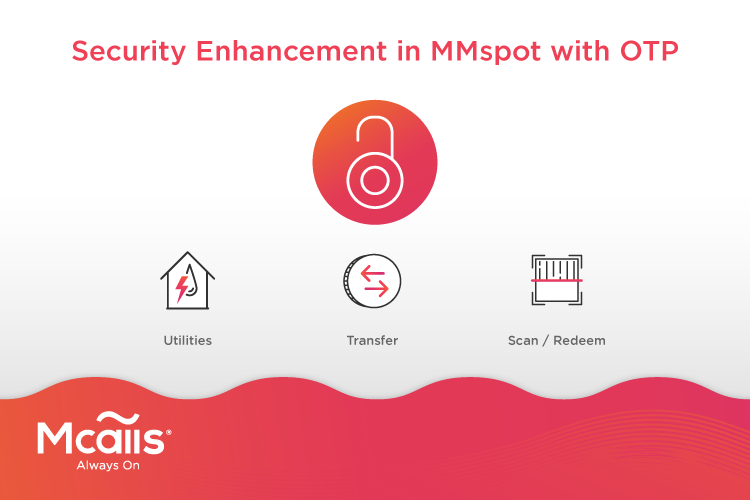 During GRACE status, your MMspot M-A & Rewards will remain but you won’t be able to perform any Redemption until your SIM back to ACTIVE status. After the 50 days GRACE period, your SIM account will be TERMINATED, and M2Care Airtime balance and MMspot Rewards balance will be forfeited. Hence all the MMspot M-A balance can be claimed by transferring to another MMspot of the same registered owner/name (subject to terms & conditions). Unfortunately not. All Top-Ups are confirmed and final. MRS aka Mcalls Rewards. 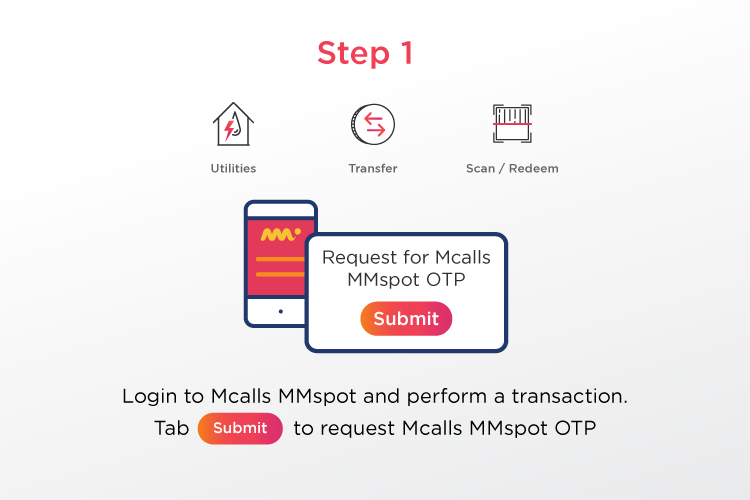 A feature in MMspot, where it allow you to track and manage your earned Rewards from the self-served Top-Up and other Mcalls Fans. What are the “Total Rewards Awarded”,” Total Rewards Pending”, and “Total Rewards Earned” shown in my Dashboard mean to me? Total Rewards Awarded = Rewards that already awarded into your MMspot. It will be reflected in your MMspot. Ready for use it as Top-Up and Scan/Redeem. Total Rewards Pending = Rewards earned from your Top-Ups (7%), but yet to award to your MMspot. How can I use of Rewards? You can use your Rewards for Redemption and as a Top-Up credit to yourself or other Mcalls Fans. How do I check my past awarded Rewards? How can I update my registered account information? 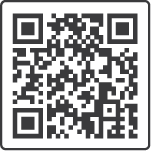 Tap on the MRS > Please leave your message to us via "Contact Us"
What is the maximum Rewards that I can earn? Are there any expiry for my Rewards? There is no expiry date for your Rewards. Can I transfer the awarded Rewards to others? Unfortunately, you cannot transfer your awarded Rewards to another Mcalls account. When will I received my delivery and how do I track it? We will attempt to deliver your SIM card on your selected delivery date or collection point. You can track your delivery anytime by logging in to our website with the tracking reference number provided. Have your original ID physically with you. The same one that you used to register for Mcalls Y33+ plan. We require to verify that you're the same person who made the order when we are delivering your package. Can I authorize someone else to receive my delivery on my behalf? Nope, you will need to be there in person because we need to verify that you're the rightful owner. Remember to have your original ID with you upon receiving for verification. Yes, you can request to change your delivery address or date via our CustCare at 03 2778 2233. Hence, we'll still need to check with our logistic dept before confirming the changes. All the order confirmation are final upon check out. We cannot accommodate your request. Hence, No harm trying. Upon received the SIM card, please ensure you are the registered user and remove the SIM from the full ISO card thereafter insert it into a smart phone. Simply make a voice call to any friend, and there you go. Welcome to Mcalls ~ Always ON! I just missed my shipment. How can I reschedule a delivery? Check your mailbox for a 'We missed U' notification card. Simply follow the instructions on it to reschedule the delivery. What do I do next if I receive a faulty SIM? May I reject the parcel? What is inside my shipment? Your registered Mcalls Y33+ SIM Pack! Remain my existing number (MNP Porting-IN) – Join us with no frills and seamless for your friend and family to reach you. MNP Porting-IN gives you a peace of mind by remain the existing Mobile Number you had with another Telco when you join Mcalls. Before l request for Mcalls MNP Porting-IN, what do I need to do? In view to have a hassle free MNP Porting-IN, please make sure your existing line is active and registered under your own name. Ensure your current plan is Contract-Free and complete the contract binding with them. Lastly, clear up all outstanding payment with your current service provider if any. 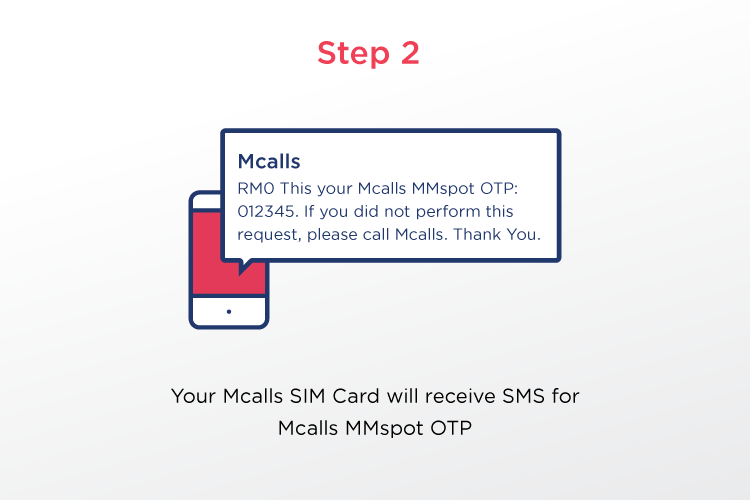 Can I still use my number with my existing service provider while waiting to Mcalls MNP Porting-IN? Yes, you still can! 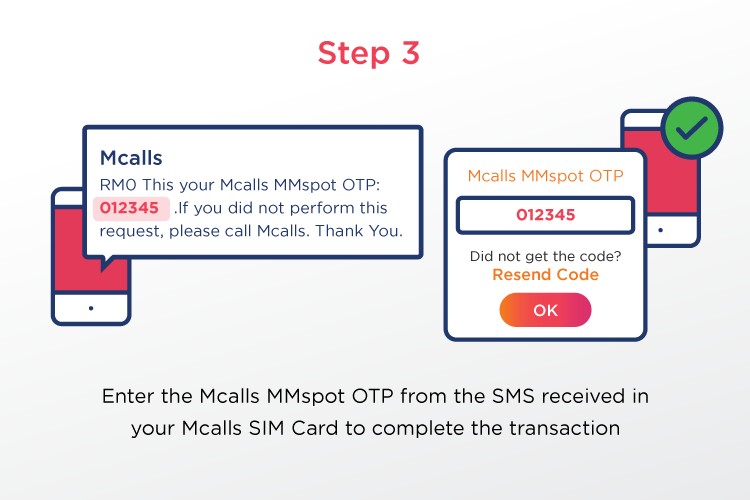 Your existing line will be Active until the Existing Telco process your request and you give the “OK” green light via their notification to you to join Mcalls. Can I cancel my MNP Porting-IN request? Yes. You could have chance to not proceed while you receive the SMS confirmation from your existing Telco. Hence, we ensure you won’t change your mind since we are the first ever Telco that care to transform you to be a Smart User. Any charges incur for my MNP Porting-IN request? MNP Porting-IN to join Mcalls, is absolutely FREE of charge.